The School Council was structured in September 2002 and ever since has been playing a crucial and active role in the school. The Student Body along with the administration forms the School Council which is a forum for formal meetings where student expression on the matters related to the school curriculum as well as areas of concern for school welfare is invited. The School Council seeks active participation of the students in running school activities thereby promoting leadership, initiative and responsibility towards welfare of the school. Conducting formal meetings where the Student Representatives bring to fore the agenda devised on basis of students’ feedback. Debating for the cause and presenting fitting solutions for the issue at hand. Directing student initiatives towards community service. Incorporating student role in organising school activities. 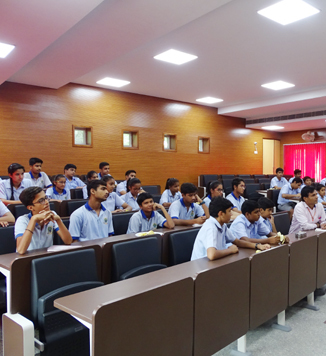 A number of students from each section of classes VI-XII volunteer for candidature. The students of the class cast their respective votes in favour of the candidate of their choice. Only a single vote is permissible per student. The class teacher serves as returning officer and counts votes. The candidate getting maximum votes becomes the class representative (CR). A similar method is followed for the election of girl representatives; there is a single girl representative (GR) for all the sections of a particular grade. Therefore, the elected Class Representatives and Girl Representatives of all classes join the School Council and give their views and inputs on matters that concern the life of the school.